Although Vancouver, BC is almost a three-hour drive from Seattle, it makes an excellent day trip or weekend getaway to indulge in the day spas. Here are our top day spas (listed alphabetically) in the vibrant Canadian city of Vancouver. Divine, indeed! Absolute Spa has two downtown locations: Century Plaza Hotel at 1015 Burrard St. and the Fairmont Hotel Vancouver at 900 W. Georgia St. The spa at the Fairmont Hotel Vancouver is Vancouver’s “first spa for men,” and features a 75-minute Gentleman’s Facial. But the spa is women-friendly, too. EvelineCharles Spa and Salon, 1495 W. 11th, is a sleekly whitewashed second story haven located in the shopping-friendly South Granville Rise area. Get down and dirty with the Mud Slide, a soothing treatment that includes a mud bath, mud wrap, massage, and moisturizer. Miraj Hammam Spa is located at 1495 W. 6th. Middle Eastern treatments are featured here, including the Hammam and Gommage, an exotic steam and exfoliation process, followed by a 30-minute massage. Luxuriate afterward in the Sultana Lounge with tea and sweet cakes. Breathe Spa, 464 Granville Street, is a sanctuary tucked away on the fifth floor of the Pacific Coast Building in the heart of the city. Indulge in the “Out of This World” package that includes a two-hour Breathe Facial followed by a two-hour Hot Stone Therapy Massage. Skoah, 1011 Hamilton Street, is the spot to get the skinny on skin. Featuring its own product lines, the small menu of facials includes everything from a “quickie facial” to the more intense “face, peepers, and pout” treatment. 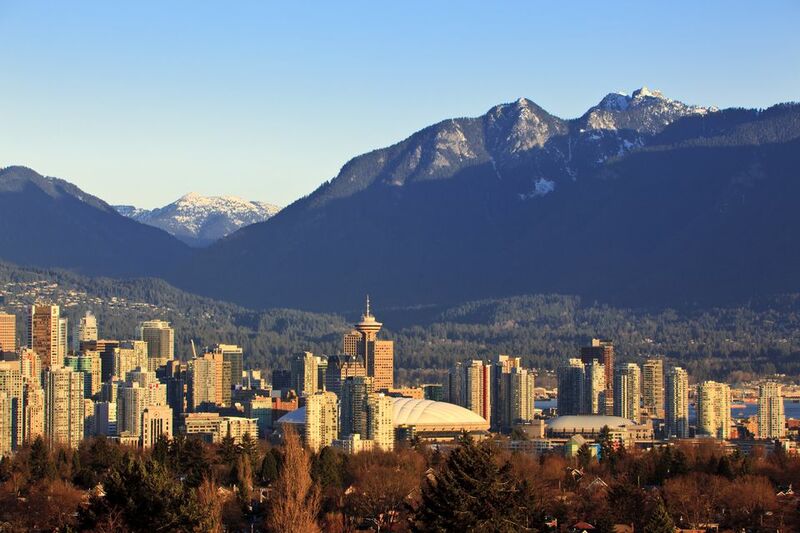 Located in trendy Yaletown and just a few flip-flops away from the Opus Hotel, by far the hippest hotel in the ‘hood. Spa Utopia & Salon is located in the Pan Pacific Hotel at 999 Canada Place. The “VIP Suite Romance” package includes treatments for two in your own spa suite with a private changing room, heated floors, fireplace, and waterfall shower. You’ll enjoy 30 minutes in a jetted tub, 60-minute massages, luxurious facials, and beverages and fruit. You even get to take your robes home! Spruce Body Lab, 1128 Richards St., is one cool and sleek spa, featuring white Corbusier chairs in the waiting room and staff sporting lab coats. The skin and body care menu includes massages, reflexology, facials, waxing, microdermabrasion, botox, and acupuncture. Vida Wellness Spa is located at the Sheraton Vancouver Wall Centre Hotel, 1088 Burrard St., and Sutton Place Hotel, 845 Burrard St. Indulge yourself for two hours with the Ayurvedic Swedana that includes a massage, relaxation in a handcrafted West Coast cedar cabinet, and a dry flour exfoliation. Spa at the Wedgewood Hotel located at 845 Hornby Street is a jewel box of a spa. It's diminutive yet elegant, featuring classic body and facial treatments and the Epicurean Discovery skin product line. Combine the Chai Soy Anti-Stress Back Treatment with the Wedgewood Classic Facial. Then enjoy afternoon tea at the hotel’s lovely Bacchus restaurant and lounge.